The old gym, which has been open since 1968, has been updated over the years. Some of the changes have included new bleachers and green wall padding. Photo credit: Serena Keenan. In the winter of 1968, the Sehome High School gym saw its first season. 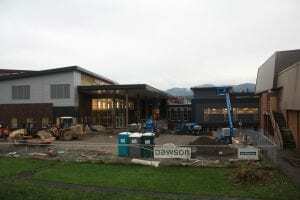 Now, 50 years from its opening, the whole school is being rebuilt, with its new gym opening after winter break this January. 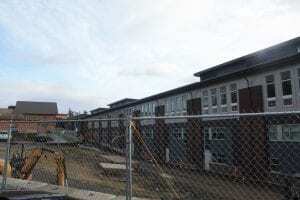 The rest of the new school will open for the second semester. Colin Cushman is the Athletic Director for Sehome High School. He has been working there since 1992, over half the time that the current gym has been open. Photo credit: Serena Keenan. The process to build the new school has been extensive. 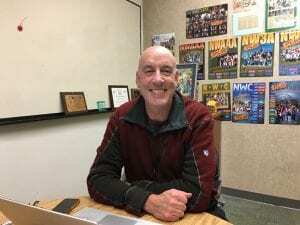 “There was a design committee two years ago, where the design was put together, and that was probably about thirty people,” says Colin Cushman, the school’s Athletic Director. 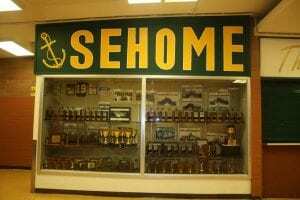 Sehome’s many awards are displayed in the gym’s foyer, in between the boys and girls locker rooms. Photo credit: Serena Keenan. The construction of the new building has happened right behind the current one. Students can see its progress from various places on campus. Photo credit: Serena Keenan. This also allows for c-team, JV and varsity games to happen concurrently, as there will be two courts in the main gym and one in the auxiliary gym. There’s also better technology and design for assemblies and other events. 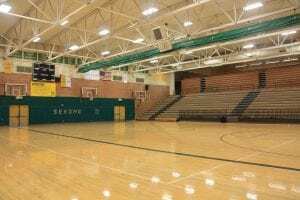 The current Sehome gym has very poor acoustics, which interferes with band performances and the sound system during school assemblies. In the new gym, there will be a state-of-the-art sound system, as well as a large video screen. In addition to a newer and more modern gym, the new Sehome will also have an updated and larger theatre. Photo credit: Serena Keenan. 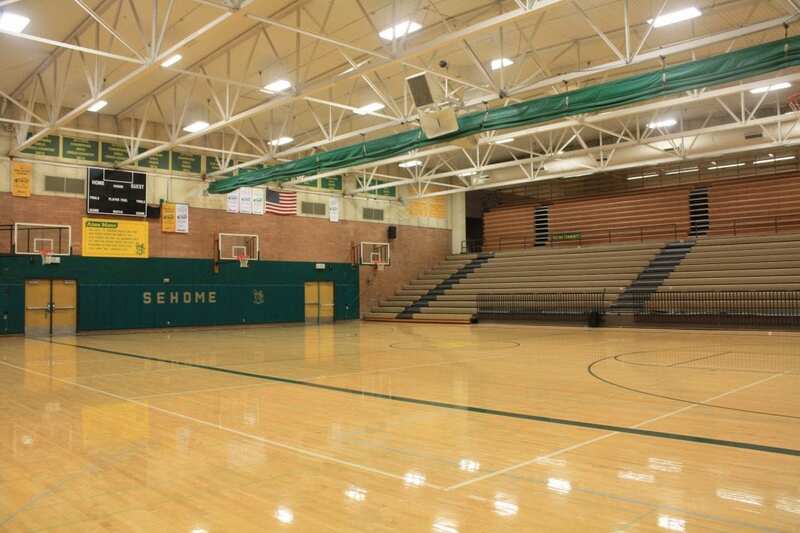 The very last day for the current Sehome gym will be December 14. To celebrate, there will be a “Bellinghome” basketball game against Bellingham High School, one of Sehome’s main rivals. The game will include friendly spirit competitions and crowd involvement. Over winter break, the old gym will be knocked down to make room for construction parking, after a team goes through and salvages parts for resale. Throughout the next year, the old building will be demolished and new sports fields will be built. By October 2019, the new Sehome High School should be up and running – looking forward to another 50 years.